Get into the "swing" of things by adding your company name or logo to these molded golf tags! 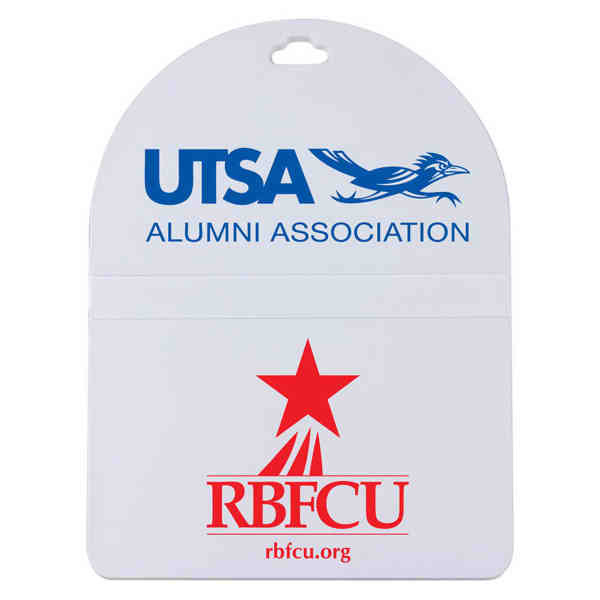 Ideal for promoting country clubs, athletic teams, resort destinations and more, it features a 3/8" name slot on the front, an oval top design and is proudly made in the USA. The silkscreened athletics accessory ships with the loop strap unassembled. Give a gift that your valued clients are bound to use on the course and off! Size: 3 5/8 " x 5 "